The AV receiver ensures that action movies with loud, dynamic soundtracks will be heard in spectacularly realistic surround sound. 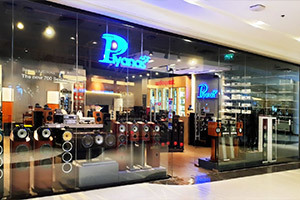 The front, surround and centre speakers are high quality models capable of reproducing high definition audio, and the subwoofer uses Yamaha’s exclusive Advanced YST technology to deliver clean, crisply powerful bass. Rounded corners give the speakers a stylish appearance. 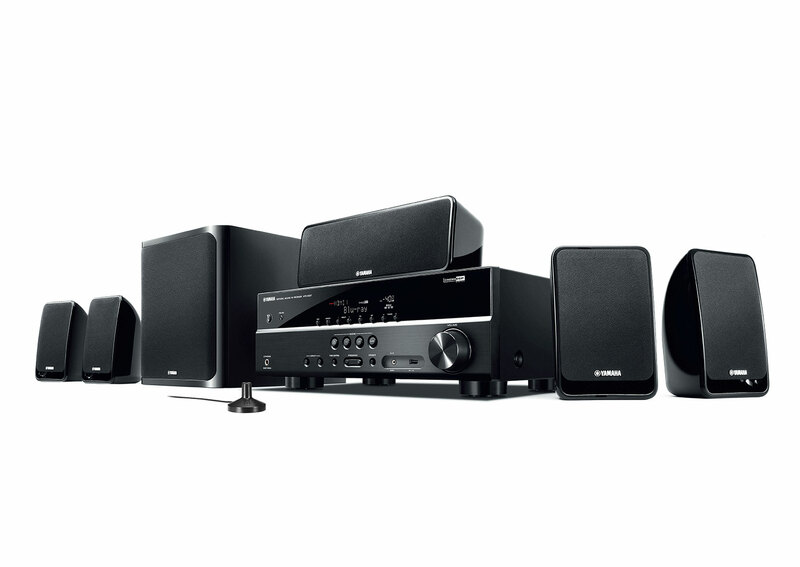 The receiver is capable of decoding the latest HD audio formats, which can be enjoyed together with CINEMA DSP surround sound programmes, for natural and expansive sound imaging. *This model doesn't support HDCP2.2. HDCP2.2 compatible equipments are needed to see 4K contents which are encypted with HDCP2.2. A USB port on the front panel provides convenient connection for your iPod / iPhone, which also charges when connected. 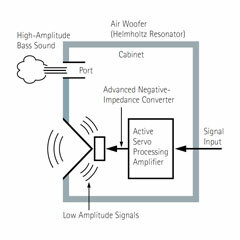 Because the digital signal from the iPod / iPhone is transmitted directly to the AV Receiver, noise interference is minimised and sound quality is much better. The USB port on the front panel allows quick and easy connection of USB storage devices, for immediate enjoyment of MP3 and WMA tracks. 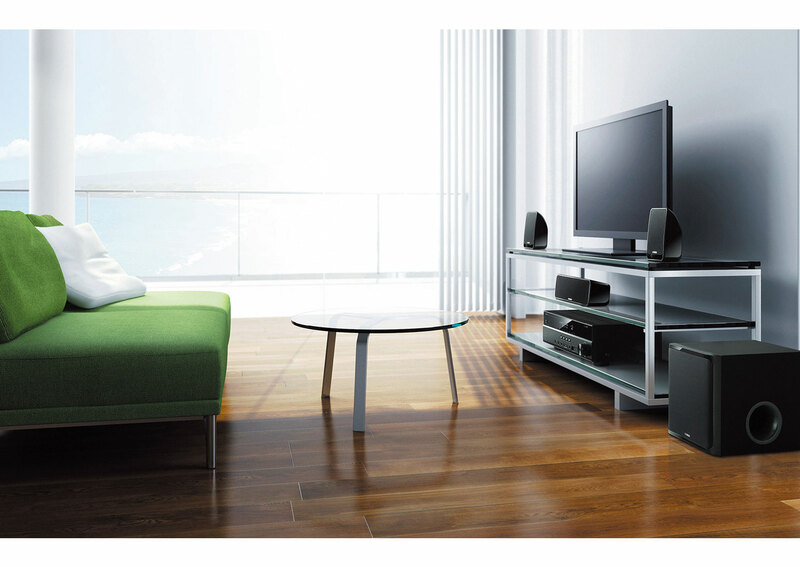 The YHT-2910 uses Yamaha’s YPAO system that quickly and automatically analyses the acoustics of the room and adjusts various speaker parameters to provide the optimum sound at the listening position. It’s like having a professional audio engineer set up and tweak your system. Four SCENE buttons make operating the receiver easier than ever. They are initially set to default settings for BD / DVD Movie Viewing, TV Viewing, CD Listening and Radio Listening. 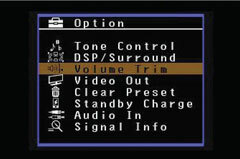 Pressing a SCENE button turns on the power, selects the input source and assigns the optimum DSP mode for that source. 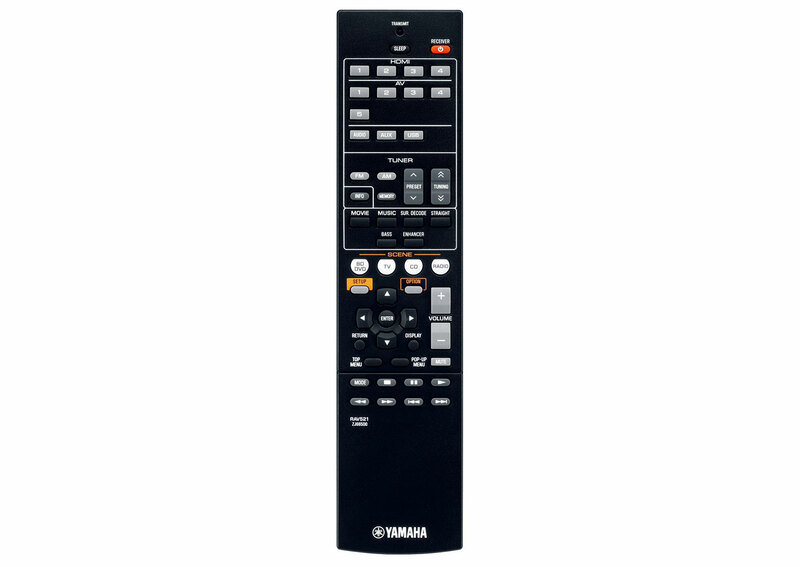 The YHT-2910 features Yamaha’s latest on-screen display, which provides colour icons for quick identification. Menus can be viewed in English, German, French, Spanish, Russian Italian, Japanese or Chinese. In addition, menus can be overlaid over the image. 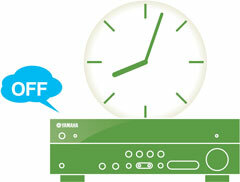 Yamaha's new ECO mode reduces power consumption by about 20%. It can be set easily from the top of the OSD menu. “Made for iPod, iPhone and iPad” means that an electronic accessory has been designed to connect specifically to iPod, iPhone, iPad and has been certified by the developer to meet Apple® performance standards. 4K Pass Through receives super high-def resolution video and pass it to a 4K compatible monitor. This ensures compatibility with the latest super high resolution video formats. Dolby TrueHD is an advanced lossless audio technology developed for high-definition disc-based media including Blu-ray Disc. 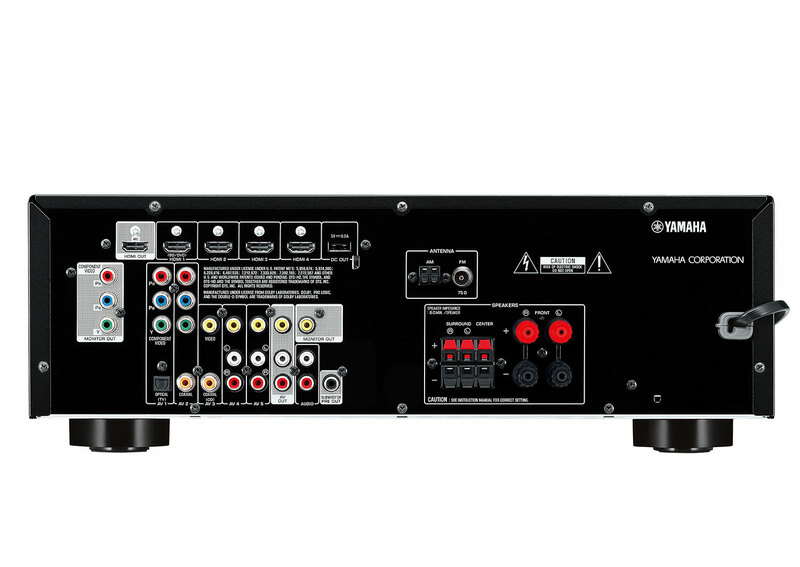 Selected as an optional audio standard for Blu-ray Disc, this technology delivers sound that is bit-for-bit identical to the studio master, offering a high-definition home theater experience. Supporting bitrates up to 18.0 Mbps, Dolby TrueHD can carry up to 8 discrete channels of 24-bit/96 kHz audio simultaneously. 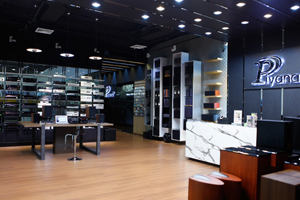 Dolby TrueHD also remains fully compatible with the existing multichannel audio systems and retains the metadata capability of Dolby Digital, allowing dialog normalization and dynamic range control. 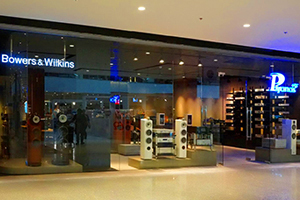 Dolby, Pro Logic, and the double-D symbol are registered trademarks of Dolby Laboratories. DTS-HD Master Audio is an advanced lossless audio technology developed for high-definition disc-based media including Blu-ray Disc. Selected as an optional audio standard for Blu-ray Disc, this technology delivers sound that is bit-for-bit identical to the studio master, offering a high-definition home theater experience. This model supports DTS-HD Master Audio decoding in 5-channel system. 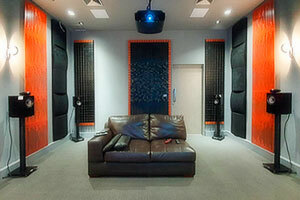 ･ Since the Dolby Surround and DTS systems were originally designed for use in movie theaters, their effect is best felt in a theater having many speakers designed for acoustic effects. 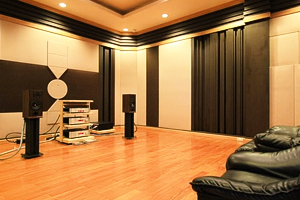 Since home conditions, such as room size, wall material, number of speakers, and so on, can differ so widely, it is inevitable that there are differences in the sound heard. Based on a wealth of actually measured data, Yamaha CINEMA DSP provides the audiovisual experience of a movie theater in the listening room of your own home by using the Yamaha original sound field technology combined with various digital audio systems. 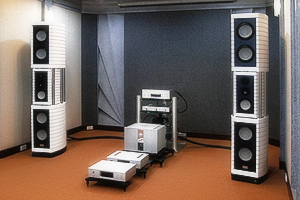 ･ The actually measured sound field data contain the information of the height of the sound images. 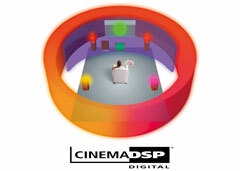 CINEMA DSP 3D mode achieves the reproduction of the accurate height of the sound images so that it creates the accurate and intensive stereoscopic sound fields in a listening room. 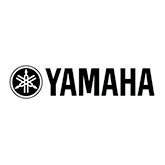 The Yamaha Parametric Acoustic Optimizer (YPAO) uses a small microphone and sophisticated equalization to automatically set the best sound for any room, no matter where the speakers are. First it checks the speaker connections and phase of each speaker. Then it sends out tones which are captured by the microphone to analyze the room acoustics and sets a variety of parameters, such as the speaker size, the distance of the speakers and even the sound pressure level, until it achieves the best sound conditions for your room. 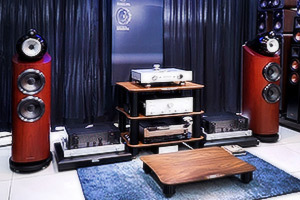 With most AV components, watching or listening to what you want requires a number of steps. You have to turn on the AV receiver, turn on another component like a Blu-ray Disc™ player, select the source, select the surround mode and then press play. With the SCENE feature from Yamaha, all you need to do is press one button and both components turn on, the correct DSP setting is made, and play begins. 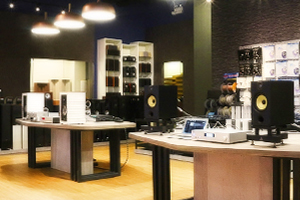 Yamaha has developed a natural, realistic DSP algorithm for headphones. Parameters for headphones have been set for each sound field so that accurate representations of all the sound field programs can be enjoyed with a pair of headphones. HDMI® (High-Definition Multimedia Interface) is the first industry supported, uncompressed, all-digital audio / video interface. Providing an interface between any source (such as a set-top box or AV receiver) and an audio / video monitor (such as a digital television), HDMI supports standard, enhanced or high-definition video as well as multichannel digital audio using a single cable. HDMI transmits all ATSC HDTV standards and supports 8-channel digital audio with bandwidth to spare to accommodate future enhancements and requirements. When used in combination with HDCP (High-bandwidth Digital Content Protection), HDMI provides a secure audio / video interface that meets the security requirements of content providers and system operators. For further information on HDMI, visit the HDMI website at “http://www.hdmi.org/.” HDMI, the HDMI logo and High-Definition Multimedia Interface are trademarks or registered trademarks of HDMI Licensing LLC. Weight 7.4 kg; 16.3 lbs. Weight 0.68 kg; 1.5 lbs. Weight 7 kg; 15.4 lbs.